Transportation leaders are brainstorming ideas for a ballot measure that would increase sales tax in order to fund city transit projects. 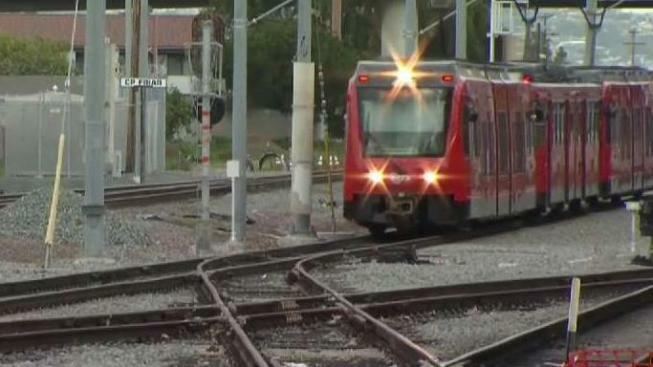 "Transit Together," a report released Wednesday by Circulate San Diego, detailed ideas that could go towards creating a ballot measure that would ask voters to approve a half-cent sales tax increase in order to raise $10 billion for local transit projects. Joining Circulate San Diego on Wednesday to back the proposal were members of the San Diego County Bicycle Coalition and labor sector leaders. The report examined how feasible it would be for the Metropolitan Transit System to get the measure on the ballot and garner support from the community. MTS plans to hear from the community first before deciding whether to back a ballot proposal. "Today's press conference regarded a Circulate San Diego report & their ideas for a ballot measure. Before MTS proposes a ballot measure/projects, we'll have an extensive public participation plan to hear from everyone. Plans for that outreach process will be announced soon," the agency told NBC 7 in a statement. The report cited the San Diego Association of Government's failed 2016 proposal, Measure A, as what to avoid if creating a ballot measure. The report said if the ballot measure were successful, some of the projects the funds could go towards include pothole repair near transit stations, school route safety improvements and airport transit connections, among others. The measure could also improve bus frequency times and services so bus routes become faster and more reliable. The Purple Line rail project, which would connect the U.S.-Mexico border to Kearny Mesa, could also be funded by the sales tax increase, Circulate San Diego said. An example expenditure plan for the $10 billion can be found here. More information on the "Transit Together" report, which details what a future ballot measure could look like, can be found here. Editor's Note: An earlier version of this story said the MTS has supported the ballot measure though MTS clarifies a potential ballot measure is still in its exploratory stages.